We carry good quality discounted lotions and creams that includes body lotions, hand cream and hand lotions. 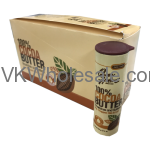 Purchase lotions and cream at wholesale price to save more money. 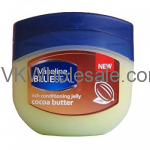 Minimum quantity for "Vaseline Blueseal Cocoa ­Butter Rich ­Jelly, 1.75oz" is 12. Minimum quantity for "Queen Helene Coca Butter Sticks 12 PC" is 1. 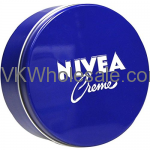 Minimum quantity for "Nivea Creme 1 oz 30ml Travel Size Metal Tin 36 PC Display" is 1. 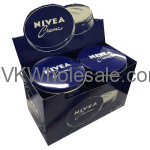 Minimum quantity for "Nivea Creme 8.45 oz - 250 ml Metal Tin 6 PC Display" is 1. Minimum quantity for "Nivea Creme 13.50 oz - 400 ml Metal Tin 1 PC" is 6. Minimum quantity for "AVON Moisture Therapy Daily Skin Defense Hand Cream 125ml 4.2 oz" is 12. Minimum quantity for "AVON Moisture Therapy Intensive Healing & Repair Hand Cream 125ml 4.2 oz" is 12.